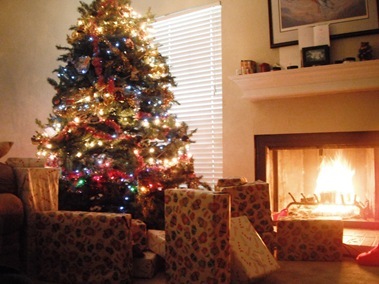 Ok, I want to hear what y’all got for Christmas or what you gave! Pictures would be fun, too! What was your favorite gift that you gave or received? I gave my hubby a Kindle that he really wanted so that was my favorite gift I guess. Paid for 100% by my Swag Bucks!!!! I got an iPad which I love and am still trying to figure it all out! My #1 oldest son gave me a $100 JCPenny gift card – I went yesterday (during the 70% off sale) to redeem it in clothes! 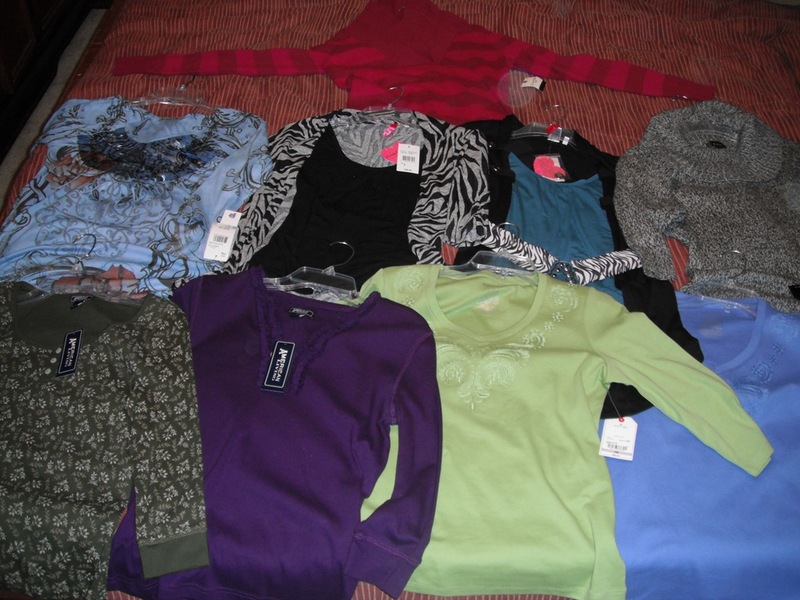 I used several of the $10 off $25 coupons and checked out multiple times and got 9 sweaters and shirts! Yay! So, I spent $100 for 9 sweaters and shirts, got $40 (4 $10 off $25 coupons) off plus 70% off! I am a happy camper! FREE clothes, a sale & coupons!!! Love it! Wow! What a great Christmas. You did great at JCPenny! @Carli: Thanks! We were very blessed this year! You did amazing at Jc Pennys! We did pretty good this year too. I think every one came out happy. Financially we did extreamly well, looking at my Christmas tree – Christmas morning you would have thought we spent thousands. I’m happy to report we only spent about $500 (in 4 months time) on all of Christmas, which is amazing considering 3 were $50 gift cards. Between coupons, swagbucks, and coupon codes for online shopping we were able to afford amazing presents. I’m already gearing up for next year. I know early right!?! I ended up with a phone, flat iron, 3 – 2.5 crockpot holder, which I have been wanting for a year now and some other great gifts. My MIL gave us a family gift … a Wii. I gave a lot of board games this year because of finding them free or near free at a Wal Mart sale. I was also able to get my daughter a DS and free games by trading in old games we had. I was even able to buy for the adults this year. Some got Starbucks coffee baskets (thank you Target for having that amazing sale) some got bathroom product baskets. I made a few gifts for the bakers in the family (cake plates). I got my uncle an awesome cook book from OneKingsLane . com for only $2.95 and my aunt a swagbucks starbucks gift card. They thought I spent too much! LOL! A lot of this is thanks to you Dian. You were my couponing start thank you from me, my husband and my family! Happy New Year! @Erika S: Yay! What a great testimony to couponing and deal shopping! You’ve done a great job! Thanks for telling me I love to hear the success stories!!! Thanks again for the kind words and Happy New Year! @Marianne Handlir: How sweet! I love it – what a nice job he did, too! Clothes look awesome and so does the beautiful tree. Well, you know I am a bowl freak or cooking pan freak….and I got several awesome ones. Oh….you WILL see them in a post. My husband and I added a back seat to our golf cart so that we could fit our grandkids all on it. Because of where we live, we can drive around every time they come over to see the deer….run to eat pizza….go down to the pool. We also put in a better motor and new tires. Well, hubby thought that wasn’t really something that I wanted (since he is also a golfer and I am not) so he gave me several things….including $600. What? I was shocked. I have spent it in my head already 100 times. My mom gave me some cute clothes and a great stocking. I got some other cute things for the house and more jewelry…..a crock pot…..What can I say? I was very blessed. Glad you had a great Christmas. @Susan: Sounds like you did, too! Way to go! Are you back from the mountains, yet? Did you take beautiful pictures to paint?